Duro-Last doesn’t let just anyone install their product. Since they want to maintain a higher standard than the competition, they maintain a roster of qualified contractors that are skilled with very specialized equipment. Riddell Roofing actually holds the title of Master Elite Contractor. That means we’ve worked with Duro-Last to insure our process meets their grueling criteria. Our customers and our community know they can trust us to get the job done right, with industry leading speed. When you are in need of a new roof, you need a winning team. You need Riddell Roofing. As a family-owned business in Aledo, IL, we are committed to treating people right--even before they are our customers. 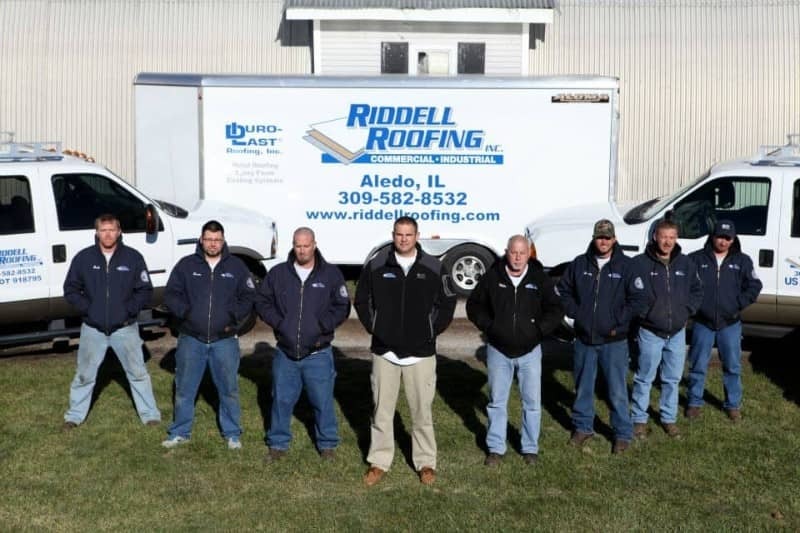 Riddell Roofing was founded in 1982 and included roofing and concrete services. In 2000, we put our focus on roofing and serving the Quad Cities area. We specialize in Duro-Last Roofs, commercial roofing, foam roofing, metal roofing, and metal roof restoration. We strive for fast response time to calls and requests (usually within 24 hours) and always have fair pricing and expert installation.